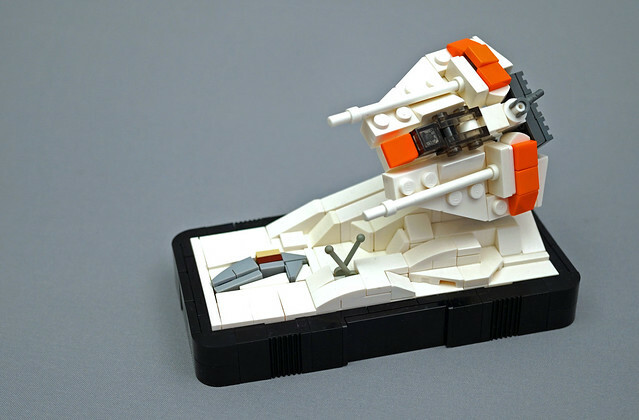 "...This Is Rogue Two, I Found Them, Repeat I Found Them"
The snowspeeder is one of my favorite Star Wars ships. It's angular design and no-nonsense style always appealed to me. There's been many attempts to build it this small (just look at all the Star Wars advent calendars) but I think this one by Rogue Bantha is the most successful I've seen. Built for the Star Wars building contest on Brickset.